The J'ouvert Festival and West Indian American Day Parade was held amid beefed up security Monday, but participants still reveled in a great Labor Day. It was a celebration of Caribbean culture and freedom of speech surrounded by a visible NYPD presence. 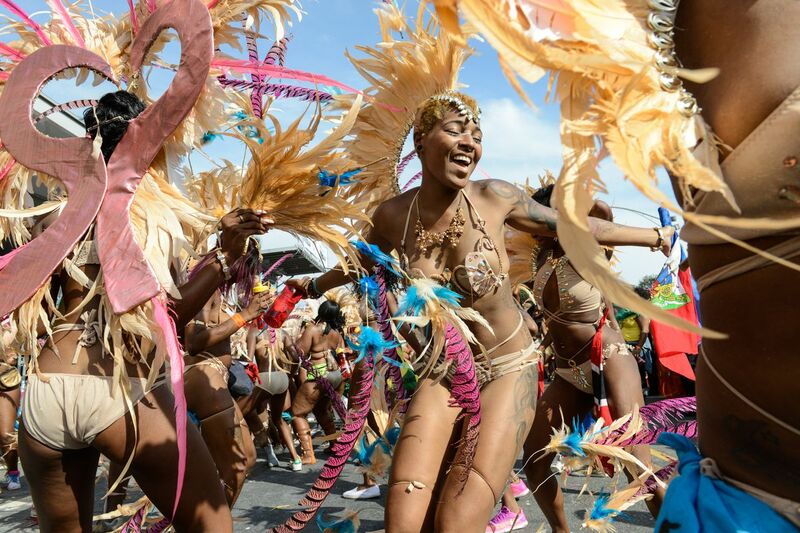 Thousands danced their way down Flatbush Avenue for J'ouvert in the early morning parade commemorating the emancipation of Caribbean slaves, followed by flags waving, music blaring and feet dancing in the annual parade that followed. "I'm having fun," one child said. "I'm seeing a lot of people with their joy, the oil and the music." The event started later than in past years, at 6 a.m., and there was extra security in place because of violent incidents that happened in the past. Three years ago, Cary Gabay, an aide to Governor Andrew Cuomo, was even shot and killed. Two people were killed in 2016, and there was at least one shooting last year. The event now includes 13 entry checkpoints to keep weapons and alcohol out. The tighter control left attendees with mixed opinions. "It's so big and everybody's enjoying it," one participant said. "And you don't want someone to get the wrong idea and try to ruin it, so we have the protection we need." "I think it's a little over the top," another parade goer said. "Anytime black people are congregated together, there always seems to be an excessive amount of force." The security is tighter than it's ever been, with 4,000 police officers deployed. There were some reports of some violence in the hours leading up the start, with a shooting happening nearby that was not believed to be connected to the event. Video posted on social media showed the chaotic moments following the overnight incident at Flatbush Avenue and Midwood Street that left two women shot but with non-life threatening injuries. The city's Caribbean community has held annual Carnival celebrations since the 1920s, first in Harlem and then in Brooklyn, where festivities happen on Labor Day. The festivities start with J'ouvert, which comes from the French words "jour" and "ouvert" and means daybreak. Meant as a celebration of emancipation from slavery, it features revelers who cover their bodies in paint or oil, wear helmets with giant horns, and toss talcum powder into the air. The highlight is a parade of steel pan bands. J'ouvert was once only loosely organized and began in the dark, hours before dawn, in a Brooklyn neighborhood still dealing with gang violence. Late-night shootings were a concern for years, but outrage grew fervent in 2015, when Gabay died after he left his Brooklyn home to attend the festivities and was hit by stray gunfire.